Funding available: Small grants (£500 or less) and large awards (over £500). Deadlines: March 1 and November 1. 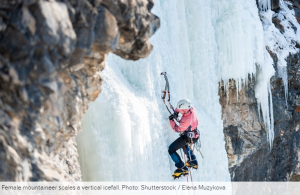 The Julie Tullis Memorial Award is a small grant to assist female mountaineers or any disabled climbers or mountaineers, both male and female to achieve their climbing or mountaineering ambitions. The fund is administered by the BMC and applications for the Julie Tulis Memorial Award can be made via the BMC Expedition Grant form, and should include a short covering note explaining how the project fits the award criteria. The Richard Overall Trust has helped and will continue to help young disabled people with financial support to enjoy and progress in their chosen sport. The Trust supports requests from individuals, groups, family and carers. The Trust's aim is to assist young people with funding to facilitate their participation, attendance or purchase of equipment for sporting events and activities. 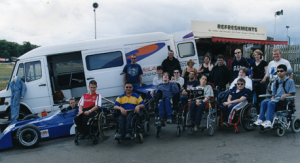 Examples of activities which the Trust has supported in the past include, specialist sports equipment, training, instructors and the use of gymnasiums, track suits or footwear, transport including fares or the hire of a specialist vehicle, or the purchase of tickets to sporting events. The Peter Harrison Foundation has several different grant funding programmes including "Opportunities through Sport". This programme supports sporting activities or projects which provide opportunities for people who are disabled or otherwise disadvantaged. The Trustees welcome applications for projects that provide a focus for skills development and confidence building through the medium of sport, have a strong training and/or educational theme within the sporting activity or provides sporting equipment or facilities for disabled or disadvantaged people. Projects with a high degree of community involvement and engage children or young people at risk of crime, truancy or addiction will also be assessed favourably. There are no specific deadlines, or limits on the amount of funding which they will award. However they will only accept applications from charities. For more information, click here. If your project will make a positive impact on the lives of children and young people through a commitment to quality charitable work, it may be eligible for a Wooden Spoon grant. It must have a minimum predicted life span of five years (preferably ten), be non-transferable and of a permanent nature. Special consideration may be given to funding life-enhancing/medical equipment if it can be shown that the useable life of such equipment is likely to be at least five years. It must have a clearly-defined brief detailing the project's need and objectives; stakeholders; description of participants (age, gender, geography); recruitment of participants; project activity and budget; legacy planning; monitoring and evaluation and mechanism for reporting to Wooden Spoon. Enhance and support the lives of children and young people (under the age of 25) who are disadvantaged physically, mentally or socially. Work directly with children and young people and have a positive influence on their lives as a result of the activities or service provided. Benefit those located in the UK or Ireland. Support a group – grants cannot be made to individuals. While there is neither a minimum nor maximum grant level, it is unlikely projects of a physical nature under £5,000 in value will have sufficient substance and scale to qualify under the "projected life span" criteria. See examples of successful projects here. 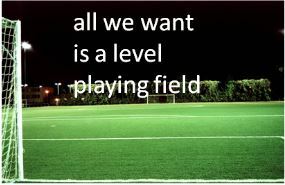 Sports equipment to enable talented athletes to participate in competitive sport. A common barrier for young disabled athletes to participate in sport is the lack of money for specialist equipment. 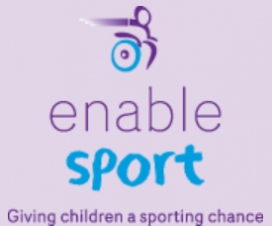 The Enable Sport Programme provides specialist disability sports equipment to support the development of talented children so that they can participate in competitive sport, and gives young athletes the opportunity to develop their skills and progress in all types of sporting activities at local, national and international levels. 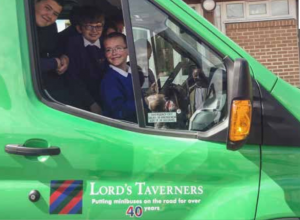 The Lord's Taverners provides a range of specially adapted minibuses for SEN Schools catering for young people with learning and physical disabilities. The minibuses are provided to enable schools to engage pupils in a range of sporting and recreational activities within the local community. Additionally, the minibus will be used to support the wider curriculum and help develop life skills.